Center for training and professional development (CT&PD) was founded in year 2008 with support of the General Director of PJSC “EMSS” Maxim Yefimov. – training and production group. Center of training and professional development operates under the License for the right to provide educational services, issued in 2013 by the Ministry of Education and Science of Ukraine. The License allows professional and technical training, retraining and advanced training of personnel of enterprises and other organizations. Center of training and professional development also performs training of workers, managers and specialists for occupational safety and fire-technical minimum. Currently CT&PD provides comfortable conditions for professional retraining, advanced training and offers quality training in different fields and programs. The educational process in the Center is carried out by professionals with extensive practical experience. The Center performs training and retraining of personnel by 60 professions. 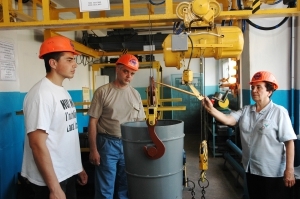 Basic and specialized professions, which is being trained (retrained) with the issuance of documents with state-approved format: crane operator, slinger, hammers and presses blacksmith, thermistor, welder of manual welding, electric and gas welder, truck driver, instrumentation and controls adjuster, assistant steelmaker, preparatory of fosses, caster, hand molder, modeler, repairmen, electricians for repair and maintenance of electric equipment, metal surface defects processor, and fettler. The modular training system and flexible schedule of educational process allow students to be engaged in in-service training, choose a convenient time for preparation. Classes are held in groups and individually at any time (morning, afternoon, evening, weekday, weekend). Training programs for professional retraining and advanced training are developed in accordance with the requirements of state educational standards, regulations and guidelines. The training plans reflect the nature and scope of sections and disciplines of theoretical and practical training, type and timing of the test tasks take into account modern concepts of economic development and production, energy saving, environmental and quality management. Requirements for qualification examination are set in accordance with professional educational programs. After passing the qualifying exam students will be issued certificates and certificate of competence. Computer equipment are used in the process of students teaching in all areas. CT&PD joins a list of educational institutions having license and comply with the “Procedure for issuance of vouchers to maintain the competitiveness of individuals in the labor market”. Based on this, the Centre is engaged in retraining of individuals older than 45 years in occupations electric and gas welder and truck driver. Professional training programs advanced training and retraining of unemployed citizens are targeted and aimed at training of professionals to work in modern conditions, with the active use of their experience, specialty, professional and personal qualities that are also needed under the new conditions. Educational process is focused on the priority of practical skills. For the acquisition and improvement of skills it was developed practical teaching laboratories with operating equipment. In the center there is 7 classrooms equipped with computers and projectors, classrooms for crane operator training, slinger, training classroom for occupational safety and fire-technical minimum, a specialized class for targeted training of students, language laboratory for the study of the English language, computerized class for 20 seats and the examination class for 5 seats, equipped with the program “Avtoekzamenator”. This program allows self-studying and passing examinations for profession and knowledge of laws and regulations on occupational safety. Operators training class for working with CNC equipment “Siemens” is equipped with two CNC lathes: turning lathe EMCO CONCEPT TURN 55 and milling lathe EMCO CONCEPT MILL 55. The class is designed for 5 places, equipped with five computers with the training program simulation processing control. 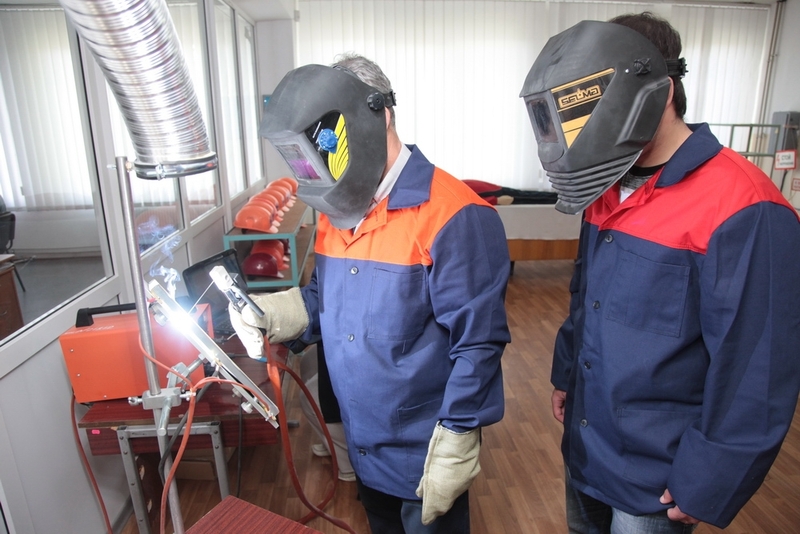 Class for welders training is equipped with an arc welder simulator, allowing perfection of skills of the welding process. 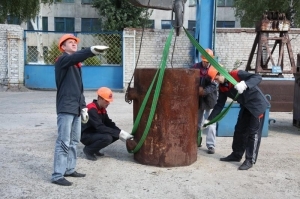 Improving of practical skills of crane operators, slingers, preparatory of fosses, radiographers, welders, oxygen cutters, repairmen, electricians for repair and maintenance of electric equipment is performed at the special training areas.